The cost of medical care is an issue that is essential for almost all Americans. Unfortunately, rather than concentrate on viable and realistic solutions, far too many politicians have offered proposals which are neither practical nor affordable. New York State is considering establishing a statewide system of single payer health care or Medicare for All. Entitled the New York Health Act. It would be a one-state experiment of the proposal many Progressives advocate for the nation as whole. Missing throughout the discussion has been the road not traveled—solutions to the high cost of health insurance and the coverage of the uninsured that do not involve the establishment of a vast enlargement of state or federal governments with all the inefficiencies and overlooking of individual needs that that entails. One of the key reasons health insurance is so high is the relative lack of competition. Insurers can’t cross state lines to give potential customers a wider selection of choices. While poorly performing hospitals and doctors should be forced to pay dearly for their malpractices, the reality is that many lawsuits are without any basis, brought under the concept that merely paying off an agreed upon sum is cheaper than going to trial. Tort reform could lessen this burden. Nurse practitioners could perform far more routine medical services than they currently do. 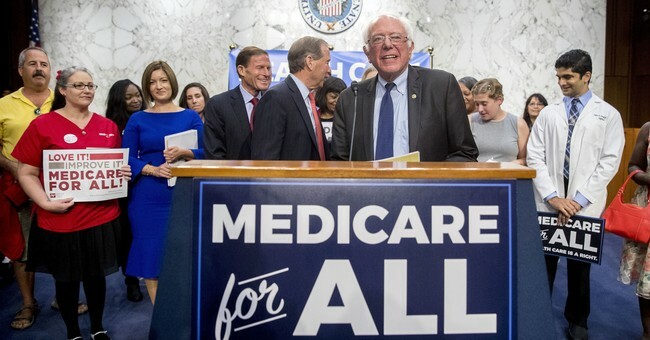 A final thought: if “Medicare for All” is adopted, will all the funds collected by American workers who paid into Medicare throughout their working lives be refunded the amounts collected, since now even those who never paid a penny will receive equal benefits?